More experienced and demanding patients who have been to more than one doctor for their Botox or fillers, know that the techniques and outcomes can vary significantly. Dr. Ben Talei is a facial plastic surgeon, dedicated only to rejuvenation and refinement of the face. 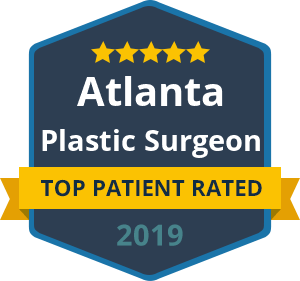 Having advanced his expertise in non-surgical and non-invasive treatments with models and actors, Dr. Talei, a dual board certified facial plastic surgeon is able to achieve incredibly natural and beautiful results with no bruising and little to no downtime. With an artistic and discerning eye and a profound understanding of facial shadows and contours, Dr. Talei is able to see things other physicians have difficulty seeing. Products used vary from patient to patient, but they include Juvederm, Juvederm Ultra, Restylane and Perlane. Various products such as Restylane Silk are also available specifically for lipstick bleed lines. The lip is one of the more complex features of the face when dealing with fillers. The goal for most patients is simply to volumize and plump the lips. However, this may not always be the most appropriate approach. The lips are one of the key features of communication and sensuality, as are the eyes. To treat them so simplistically may be a mistake. The patient and surgeon should approach the lips in terms of refinement and contouring as well as volumization. When augmenting the lips, one must consider multiple factors prior to treatment. The proportion of the lips to the face is of utmost importance. The vertical and horizontal length must be analyzed as well as the length of the upper lip, extending from the base of the nose to the Cupid’s bow. Excessive filling of the top portion of the upper lip over the years may lead to a simian appearance or rounding and lengthening of the upper lip, with loss of definition. Filling the lateral lip on a patient with long lips may result in excessive length and a fattened or duck-like appearance. However, doing the same for a patient with a short mouth may benefit the balance of the face. Lengthening of the upper lip or loss of definition may be treated using a lip lift procedure or by augmenting the philtral columns and Cupid’s bow using a French lip technique. The French lip injection technique has been advanced by Dr. Talei to give select patients pouty, kissable and elegantly defined lips. This technique increases the definition of the Cupid’s bow with micro-injection techniques, adds a central peak to the inferior border of the upper lip, gives lateral fullness and provides superior definition to the upper lips. The lower lips are typically augmented with two supple pillows just adjacent to the midline. Tooth show is another important factor, which is often overlooked. A key feature of sensuality is the maintenance of central tooth show, and in some patients, lateral tooth show as well. If the lip is filled excessively along the lower border, this may cause the upper lip to hood over the teeth, giving the lips a longer and heavier appearance. Many patients love when the central upper lip has a downwards peak, fitting into the divot into the lower lip. This can be achieved with a very careful and pinpoint injection, which will give the lip a peak without lengthening the central portion. Laterally, there is more leeway, and an inferior injection can be performed to give the patient more of a “luscious lips” appearance. Smiling and dynamic lip movement must also be examined. Some patients have a “gummy” smile, while others have hardly any tooth show. In patients with an excessive appearance of the gums and gingival, lower lip injections can be performed to help provide coverage. In patients with little to no tooth show, this should definitely be avoided, as it may give the appearance of a long lower face. The natural ratio of the upper to lower lip has been reported as being 1:3 to 2:3, meaning the upper lip is expected to be slightly smaller than the lower lip. However, if you talk to most patients and examine most models you will find a desirable ratio to be closer to 1:1. This is why lower lip injections should be performed very conservatively. It is preferable to preserve this appealing ratio and avoid the appearance of an overfilled lower lip. When examining the lower lip, there are several key features to consider. The projection of the chin is very important as well as the anterior projection of the cheek. The upper and lower lips should be balanced according to these facial features. The indent between the lower lip and the chin should also be considered. Patients with deep indents can either be filled in that area or should be filled in the lower lip more conservatively. Aesthetically, most patients prefer to have two soft pillows on their lower lips just adjacent to the midline. This gives a full and sensual appearance while maintaining definition. When injected all the way across, some patients complain they have a “sausage lip” or “duck lip.” This can easily be avoided with carefully targeted injections. Another common area of concern is the triangle located just under the lateral corner of the lip. With age, this area tends to shrink or atrophy slightly, and it causes a shadow to emerge. The upper lip appears to be hooding over the lower lip laterally, or one might appear to have a down-slanting mouth. This area can be easily filled to counteract the shadows and give a more youthful and freshened appearance. Whatever your preferences may be, Dr. Talei will help you achieve the best balance for your face. At the Beverly Hills Center for Plastic & Laser Surgery, we specialize solely in facial aesthetics and are dedicated to analyzing the face as a whole. Each person has different needs, and only an expert can help you truly fulfill those needs. Following an educational consultation with Dr. Talei, many patients emerge with a greater understanding of the little things that have been bothering them for so long, which they had difficulty pinpointing in the past. Contact us today to schedule an appointment with Dr. Ben Talei of the Beverly Hill Center for Plastic & Laser Surgery.